As 2017 enters its final phase of the year, it’s the best time to look ahead and predict the new SEO Digital Marketing 2018 Trends. There are a several numbers of industry trends that have exploded this year. Trends that are bound to flourish further into 2018. 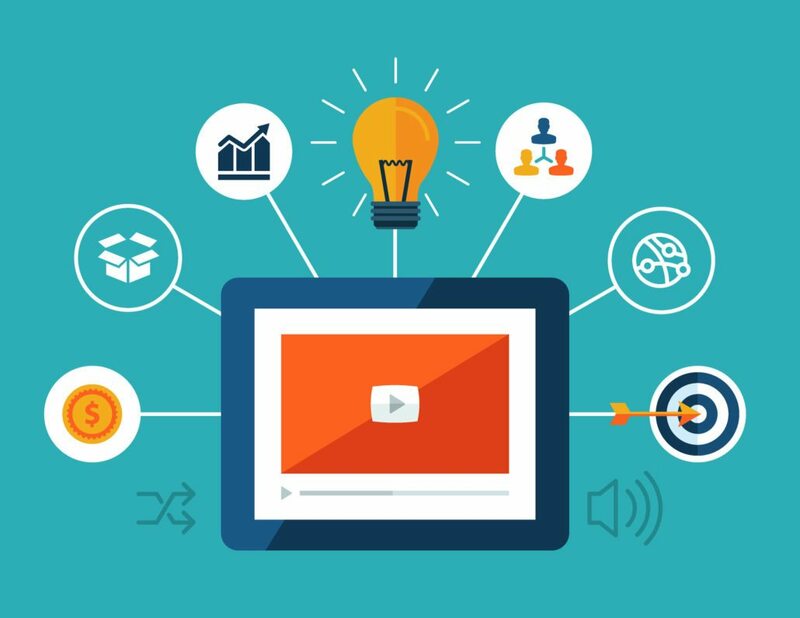 According to Brainshark, 65% of viewers watch more than 3/4 of a video, which is more than we can say about text-based content. Want to get an important message across or convey brand image, then choose video. When it comes to social media and video, there are so many different types of video you can experiment with. You can use them to shoot tutorials, perform a recipe, preview programme or movie trailers, show news updates and even tell your brand story. SEO Digital Marketing 2018 Trends Social media platforms are really leading the way when it comes to video, take Instagram for example, it has Instagram Live, Boomerangs & Instagram Stories and much more to use for your business to play with – and this is just from one social channel! Another trend being carried over to 2018 is that of micro-moments. These occur when people turn to their devices (increasingly a smartphone) to act on a need to learn something, do something, discover something, watch something, or buy something. The video really is the future of content marketing and it’s a format that’s gained serious momentum in the last 12 months. It shows no signs of slowing down as we move into 2018 and with social media giants like Facebook, Instagram and Twitter investing more energy and money into improving their video capabilities, it’s time to ask, why is this? Here’s why video is set to be one of the biggest Digital Marketing trends of 2018. According to the Content Marketing Institute, audiences are around “10 times more likely to engage, embed, share, and comment on video content than blogs or related social posts”. While creating a video used to take many months and potentially thousands of pounds, the production of great video content has become much more affordable in the last few years. Geolocation marketing lets brands target mobile device users. With geolocation marketing, businesses can reach consumers as soon as their phone’s GPS is nearby. For example, Starbucks offers “Mobile Order and Pay” which allows customers to purchase items and pick them up at their nearest store. As an augmented reality app, it used location data to guide users and provide branded entertainment. Remember those people running all over the place trying to catch Pokemon? The chatbot which functions solely with an artificial brain (AKA artificial intelligence) is proving to have an increasingly larger role when it comes to dealing with customers via chat interfaces. They’re really set to be one of the biggest Digital Marketing trends of 2018, so watch out, because they’re popping up everywhere. Augmented reality is fast growing and indications already suggest that it’s going to be one of the big Digital Marketing trends of 2018. Several Apps are already using augmented reality including Pokemon Go and Specsavers. The latest retailer to launch an AR App has been IKEA. Having experimented with augmented reality as early as 2012, flat-pack furniture giants, IKEA, have come back with a brand new AR App called IKEA Place, which used the Apple ARKit framework. It’s pretty cool. See for yourself on the Appstore. Whether we like it or not, voice search affects SEO and incorporating voice command into our websites as well as increasing the amount of quality, conversational style content is imperatives. What optimisation strategies can we use? Geolocation marketing lets brands target mobile device users. With geolocation marketing, businesses can reach consumers as soon as their phone’s GPS is nearby. Starbucks offers “Mobile Order and Pay” which allows customers to purchase items and pick them up at their nearest store. Sephora has used it to offer their customers bespoke and tailored customer interaction, tips, treatment, and advice, whereas H&M have offered their users a personal stylist Chatbot. It’s clear that Chatbots are creating new and dynamic ways in which brands provide customer service. While it’s unlikely that one word, short tail keywords will ever vanish entirely, but they don’t exactly fit in with the natural, conversational tone used in voice searches. The truth is, we don’t want to feel like we’re talking to machines anymore. We need to focus more attention than ever on personalized, long tail keywords. If you’re writing content in a natural, conversational tone– you’ll be speaking the consumer’s language, the language they use in voice search. Since Google doesn’t penalise for voice search, the websites that are seen to adapting to the voice search world are the ones incorporating (voice) search strategies for typers and talkers, alike. One of the latest evolutions in SEO Digital Marketing is a new form of optimisation, a semantic vocabulary code used on websites is here to help return more detailed, informative results for users. Voice searchers ask questions typically with Who, What, Where, When, Why and How– and they’re looking for quick fixes to their search problems. Have a page for Frequently Asked Questions (FAQs) that begins with each of these adverbs. Really, this is just a better version of upselling. Like this example below from Your Design, the automatic, built-in product recommendations helps to generate personalised suggestions for customers based on past purchasing behavior and present browsing behavior, combined. This is simple but effective personalisation at it’s finest. ” Did you know that 97% of people who visit an online store for the first time leave without buying anything” Woah that’s high! With these stats, it’s no wonder that retargeting is a trending marketing topic right now and set to be one of the big Digital Marketing trends of 2018. At the core, it serves advertisements to people that have already engaged with your store, in an attempt to draw them back to your eCommerce store to buy. Dynamic content is HTML content on your website, forms, landing pages, or emails that changes based on the viewer. As people match the criteria you set for your dynamic content (like an industry, job title, or even a score or grade), a variation of content will display that’s relevant to that viewer. Rich snippets or featured snippets really are a hugely popular emerging trend, firmly set to be one of the biggest Digital Marketing trends of 2018! In short, a featured snippet is a summary or an answer to a user query or question that is entered into a search engine. This answer is displayed at the top of Google search results. 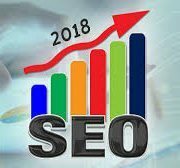 This result is found because it has been extracted from good on-page content that best responds to the search engine query. In short, a featured snippet is a summary or an answer to a user query or question that is entered into a search engine. This result is found because it has been extracted from good on-page content that best responds to the search engine query. Use a keyword research tool to find a niche or less popular keywords that are ideal for your site. The Moz Keyword Explorer tool is very handy. When it comes to creating your content it’s important to always keep in mind the featured snippet– but equally, ensure your content isn’t repeating the same words or phrases so often that it sounds unnatural– that’s keywords stuffing and Google doesn’t like it. Consider the viewpoint, tone and approach of the user and produce content that would appeal to you as much as a user. Tip: A good rule of thumb is to pick a keyword, then write copy adding the keywords in at the end. It’s worth devoting a complete landing page to a single question, as well as attempting to incorporate actual FAQ’s or even “FAQ-style” content onto your pages. With the growing rise of voice search, people are no longer searching for isolated keywords, but in complete sentences. Make it easier for Google by slicing up your copy with subheadings, listings and tables. These content strategies form part of a basic understanding of on-page optimisation techniques that are crucial in today’s world. From an analysis made by STAT, where they analysed one million high-CPC queries for its latest study, “they discovered that 70% of the featured snippets didn’t come from the very first organic result”. Visual search offers an advantage over keyword-matched search. This is because search results are only as good as the searcher’s ability to describe an item. Visual search is a particularly great tool for shoppers who are looking for a specific item– also known as ‘spearfishers’. This is because it reduces the number of steps the user would otherwise have to go through, such as typing in a keyword or scrolling through results. Instead, the desired product is immediately brought to the shopper’s attention. Another benefit of visual search is that it can be a great cross-selling tool. If a website does not have the desired product in stock, it is able to show similar or related items that might still prompt a purchase. Moreover, It can also help consumers to imagine how other products might complement it. For instance, Someone might search for a red dress, but if they see an image of a woman wearing a red dress and a bag that completes the entire look– they might be inclined to buy more than originally intended. 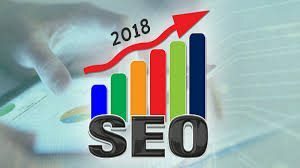 This is a round-up of all the items and products that we think are going to hit the and feature as the prominent SEO Digital Marketing 2018 Trends. It’s not imperative that you incorporate every single trend into your marketing or sales strategy this second, it’s all about assessing what works for your business and your customers – trial and error! While it’s unlikely that one word, short tail keywords will ever vanish entirely, but they don’t exactly fit in with the natural, conversational tone used in voice searches. Voice searchers ask questions typically with Who, What, Where, When, Why and How– and they’re looking for quick fixes to their search problems. In short, a featured snippet is a summary or an answer to a user query or question that is entered into a search engine. Visual search works by comparing the pixels in imagery to identify and return results that are similar. Visual search is a particularly great tool for shoppers who are looking for a specific item– also known as ‘spearfishers’.